The mission of KLCB is to promote education in matters related to bees and backyard beekeeping and to promote successful beekeeping in the Maine counties of Knox and Lincoln. Throughout the year, KLCB is involved in community events promoting beekeeping. Informational and educational tables are set up and manned by experienced beekeepers. Often there is an observation hive featuring live honey bees. Most people find the tables by following the smoke coming from the bee smoker. The hive acts like a magnet drawing both children and adults leading to many questions about the bees. This is a great way to fulfill the KLCB mission. If you are a new beekeeper, don't feel that you can't help. You will have an experienced person at the table, the presentation or in the classroom with you. And there are always opportunities to help set up and break down. www.spicerbees.com Second Annual Spring Open House Hosted by Dave Spicer, past President KLCB and current President of MSBA and his wife Susan. Get your apiary ready for spring! Raffles for a 3 lb. package of bees, honey supers and more, giveaways to the first 50 visitors, local club information and refreshments will be provided. Maine’s first Master Beekeeper, Rick Cooper, will be the special guest to answer questions and discuss how to best prep your hives for spring after a brutal winter season. This event is a great opportunity not only for established beekeepers, but also for newcomers still wondering whether or not beekeeping is for them. Visit the Facebook page for current information. 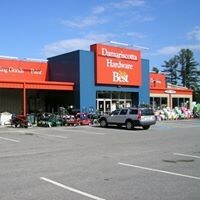 www.humbleabodesmaine.com Annual Open House 2019 This is a great opportunity to learn about Maine’s only beekeeping wooden ware manufacturers and see the products in person. This group is part of Betterbee, a beekeeping supply house from Greenwich, NY. Save money and get ready for spring! Discounts on scratch and dent items available. Win a Complete Hive or Nuc Box! Check out the store stocked with beekeeping supplies. Meet other local beekeepers. Visit with and get your questions answered by local experienced KLCB beekeepers Peter Lammert and Jean Vose. Visit on Facebook Annual Ladies Day KLCB members host a Honey Tasting Table with honeys from here in our community and from away – like tupelo and orange blossom. This year an adjacent table will feature an observation hive with live honey bees, beekeeping equipment, and lots of info on bees, beekeeping, and how to become a beekeeper. www.knox-lincoln.org Knox-Lincoln Soil & Water Conservation District Spring Plant Sale The goal of this sale is to provide the community with high quality, bareroot plants at a reasonable price - from fruit trees and berries, to mostly native and always non-invasive trees, shrubs, and organic, field-grown perennials and herbs. The selections are excellent for conservation and ornamental plantings, AND great choices for pollinators, beneficial insects, and wildlife. KLCB members man a Beekeeping Educational Table with an observation hive and lots of info on bees, beekeeping, and how to become a beekeeper. 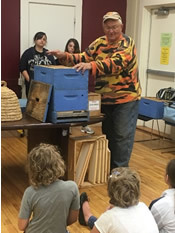 https://rocklandmaine.gov/municipal/departments/library/ Beekeeping in Your Maine Backyard The program, presented by Jean Vose, provides information about keeping honeybees including a history of honeybees in North America. It includes basic information on bee biology, kinds of bees in the hive and their role, a look inside the hive and how to get started. A hands-on demonstration of beekeeping equipment and what happens inside the hive is led by Peter Lammert. An observation hive with live bees will be on display. This program is for all ages. Children are encouraged to come and bring their parents. http://www.thomaston.lib.me.us/children-s-programming.html 40 Days of Summer ~ 6th Year 40 Days of Summer is an activities-and-lunch program for school-aged children from Thomaston and surrounding communities. Conceived by a group of volunteers in 2014, the program was begun to address the lack of a summer food program for the school children of Thomaston and surrounding communities. In an effort to make this more than a "bag lunch" pick-up, an activities program was added. The program is open to all children in the community who have completed at least kindergarten. KLCB has been an active participant in this program almost since its beginning. We provide an interactive time for the children to touch and try on equipment. We also bring an observation hive and activity sheet handouts. Visit on Facebook Open Farm Day Open Farm Day is an annual family adventure in which farms throughout all 16 counties open their gates to offer the public an opportunity to learn about the business of agriculture. Open Farm Day gives families the chance to visit local farms throughout the state. Brae Maple Farm provides land and support for more than 20 Master Gardeners and their volunteer projects. Their largest focus is using multiple organic methods for growing vegetables, all of which are donated to local food pantries and soup kitchens. Family activities on Open Farm Day include a kids’ table for making fairies, elves and hats, demonstrations on wool-spinning, needle-felting, dyeing, and twiggy fence making. KLCB provides information on honey bees and pollinators. Homemade refreshments will be served, featuring herbs, fruits, and vegetables from the gardens. KLCB has been at this event since 2001 and it is one of the largest outreaches to talk about beekeeping and how to get started in beekeeping. 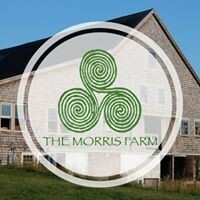 http://www.morrisfarm.org/programming/2019-summer-vacation-farm-camp Morris Farm Summer Vacation Farm Camp The Morris Farm is both a working farm and an educational resource for the communities of mid-coast Maine. This camp is in session every year July through August. Their goal is to teach children ages 4-12 to learn and care for animals, explore the fields and forest of their 50-acre campus and gain skills/information in other farming areas. KLCB provides education and hands-on learning for the summer and vacation camps each year. The program brings beekeeping equipment and an observation hive. Campers have the opportunity to view the bees and examine hive parts and equipment. Union Fair The Union Fair bills itself as "A Real Maine Agricultural Fair." The fair, which takes place for one week every year in August, offers educational and fun activities and entertainment for all age groups. Admire the animals, feast on wild blueberries, explore the midway, and enjoy the live entertainment. The Union Fair is also home to the State of Maine Wild Blueberry Festival. At the Wild Blueberry Building Kitchen, you can treat yourself to a variety of blueberry treats: muffins, pasties, and of course, the Maine staple: Wild Blueberry Pie. Join KLCB at the booth featuring bee equipment, live observation hive, information on honey bees, live bee video, and beekeepers to answer questions. As a volunteer, you receive a free pass to the fair. After or before you work your shift, you can tour the fair and be sure to sample the "fair food". www.knox-lincoln.org Knox-Lincoln Soil & Water Conservation District Conservation Fair Every fall the District brings together exhibitors and presenters with students from Knox and Lincoln county schools for a day of exploring conservation topics, environmental issues, live animals and farming, music, and fun. The Conservation Fair, now in its 18th year, is held annually in September. This year grades 5-8 will be in attendance. The fair is offered free to public, private, and home school students and is a perfect way to further the KLCB mission. KLCB has been a participant at this fair since its beginning. KLCB members man a Beekeeping Educational Table with an observation hive and lots of info on bees, and beekeeping.